Burrows seemed open to other rates Wednesday, but he explained why he filed the bill at 2.5 percent. An election trigger could be tied to a price or wage index — or based on “simple math,” Burrows said. The reforms are a big-ticket item for state leaders. Though they are unlikely to reduce individual tax bills — a concern for residents who say their incomes have not kept pace with rising property values — they could tamp down the rate of a jurisdiction’s property tax revenue growth. That ecumenical approach included, perhaps, an implicit swipe at the Senate Property Tax Committee, which hustled its version of property tax legislation out the door earlier this month by a 4-0 vote, with the committee’s sole Democrat abstaining. That bill has yet to reach a vote on the Senate floor with opposition from a key Republican senator. The decision by Burrows to opt for a slower rollout in the House reflects the broader posture of the Texas House — the more closely divided chamber — to more closely wed property tax legislation with school financing. “They work in tandem, they’re married,” Burrows said. House Bill 2 would require taxing districts with $15 million or more in combined property and sales tax revenue to obtain voter approval for property tax increases that lead to collections more than 2.5 percent higher than those in the previous year, not including new property on the appraisal rolls. Currently, state law allows local governments to collect 8 percent more in property tax revenue before they can be forced by petition to hold an election. Local officials have said the tax proposals would hamstring their ability to provide everything from emergency services to park maintenance. The House two years ago approved a 6 percent property tax cap 105-41, with most Democrats opposing it. The Senate approved a 4 percent cap in 2017. But leaders of the two chambers couldn’t reach a compromise and both measures failed to reach Gov. Greg Abbott’s desk. This year, Democrats hold 12 more House seats, and they have said they want to focus on sending more state money to schools. And some rural Republicans have suggested the 2.5 percent cap is too restrictive. The Senate has taken much the same approach as last time around, acting swiftly and forcefully. 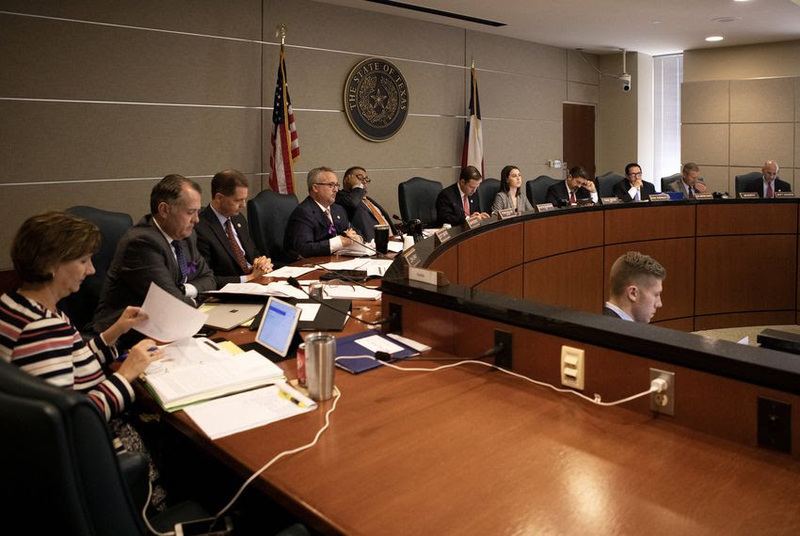 During a contentious hearing, Senate Property Tax Committee Chairman Paul Bettencourt, R-Houston, tweaked some of the witnesses at his committee’s hearing, asking local officials why they were against property tax relief for their constituents. The mayor of McKinney, the county seat of conservative Collin County, accused him at one point of taking cheap shots from the dais. Back-and-forth with local officials was far less prickly for the House committee on Wednesday, with Burrows asking people like Ginger Nelson, the mayor of Amarillo, whether she thought the rollback rate ought to be 8 percent — or closer to the 2.5 percent in his bill. She told him she had to mull over more closely the consequences of different tax rate constraints. And the hearing simply moved on to the next witness. Burrows got praise at the outset of the hearing — which had at least 130 people sign up to testify, ranging from taxpayers angry about their property tax bills to mayors suggesting property tax restraints could harm their public safety budgets — from state Rep. Eddie Rodriguez, D-Austin, for having an open mind to talk about property tax matters. The wonky tone was set early on with lengthy testimony by Dale Craymer, head of the Texas Taxpayers and Research Association. Craymer said his group was neutral on the bill. As far as transparency and simplifying of tax bills and appraisal valuations, the “body of this bill is more far-reaching than anything we have had the opportunity to work on before,” he said. 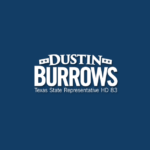 Today, Rep. Dustin Burrows (R-Lubbock) filed House Bill 1525 which would ease the administrative burden on small to medium-sized remote sellers that are using the national providers’ platforms by requiring the providers to collect sales tax. This would accelerate collection of taxes that are currently due under Texas law on sales of taxable items by remote sellers. This administrative change could potentially mean an additional $300 million in state and local sales tax revenue for Texas in the first full fiscal year of collections. Currently, national marketplace providers have no responsibilities related to the taxes due on sales made by third party sellers on these platforms. 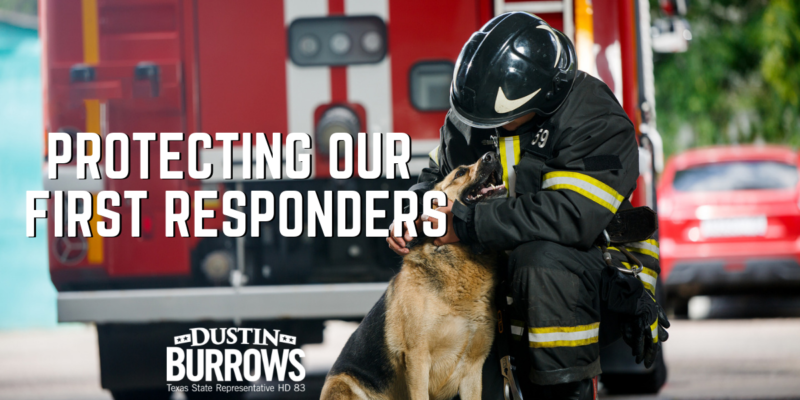 In the Senate, House Bill 1525 is a companion bill of Senate Bill 890, filed by Senator Jane Nelson (R- Flower Mound). The local tax due would be assessed on the taxable item’s destination in Texas. The proposed bills are part of a broader Texas legislative response to the June 2018 U.S. Supreme Court’s ruling in South Dakota v. Wayfair, which allowed states to require remote sellers, meaning those without any physical presence in a state, to collect sales tax. The Speaker, Lt. Governor, and Governor jointly agree that property tax reform is an important issue for the legislature to address this session. While the legislature does not set–or collect–property taxes, the legislature is still responsible for ensuring the property tax system is fair, transparent, and accountable. HB 2 by Burrows, like its identical companion in the Senate, starts the House down the path in accomplishing meaningful property tax reform. As filed, HB 2 includes provisions intended to increase transparency in the property tax rate calculations; make it easier for property taxpayers to navigate the appraisal review board process; and empower citizens to have a direct say in significant increases in property tax rates. The current notification requirements for property tax rates are complex and difficult for the lay person to understand. HB 2 modifies the process by which taxing jurisdictions set property tax rates by strengthening the notification provisions prior to jurisdictions adopting rates, and by making the changes easier to comprehend. Reforming the Appraisal Review Board process. Taxpayers protest their property tax values to the Appraisal Review Boards, which frequently are the last stop in the protest process. HB 2 seeks to make these hearings more taxpayer friendly by modifying how the notices of hearings are given, and changing the times in which taxpayers may appear before the board, among other modifications. The “no-new-revenue tax rate” as set forth in HB 2 (currently the “effective tax rate”) is the property tax rate in the current year that would raise the same revenue for the taxing jurisdiction as the previous year on property that is taxable in both the current tax year and the preceding tax year, given the current year’s property values. The rollback rate is the amount of increase above the no-new-revenue tax rate a jurisdiction may increase property tax rates without a vote to limit the property tax rate growth. HB 2 as filed changes the rollback rate from 8% to 2.5% for all taxing districts with more than $15 million in combined property and sales tax revenue. Under current law, if a property tax jurisdiction sets the current year’s property tax rate higher than the rollback rate, voters may petition the jurisdiction to hold a rollback election to cap the tax rate increase at the rollback rate. As filed, HB 2 would change this election to a ratification election, giving voters the power automatically to vote on a property tax rate increase that exceeds the rollback rate. By the end of the Texas Legislature’s 2017 regular session, Democrats in the House were beleaguered. Democrats had held few positions of power. They had watched GOP members pass conservative legislation they could do little about. And, in the waning days of the session, they had mustered what little political sway they had to fend off a controversial bill that would ban “sanctuary cities” — to no avail. This session, things seem different. Democrats gained a dozen seats in the House, narrowing Republicans’ majority in the lower chamber. They were tapped to chair more committees that handle high-profile legislation. And, perhaps most notably, the newly elected Republican House speaker tapped a Democrat to serve as second-in-command — a gesture of bipartisanship. That progress, the most Texas Democrats have made in years, has left some members grappling with a question: How can they capitalize on it? Zwiener and other Democratic freshmen who flipped longtime GOP-held seats are still excited about their long-shot victories on the campaign trail and want to translate that momentum into ambitious legislative wins at the Capitol. But more seasoned Democrats, familiar with how things work at the Capitol and emphasizing that their party is still in the minority, suggest that a more measured approach could land them the support needed to pass policy they’ve championed over the years. Turner was unanimously re-elected to chair the House Democratic Caucus last month. Despite his party’s gains and Democrats’ heightened optimism, members are aware of a few sobering realities: Republicans can still pass legislation without a single Democratic vote; Republicans chair the five most powerful committees in the lower chamber; and Republican House Speaker Dennis Bonnen, though he’s moved to cast himself as a leader who will give every member a fair shake, ranks more ideologically conservative than his predecessor. House Republicans, to be clear, also recognize they still have the upper hand in the chamber — although GOP leaders so far have focused the 86th legislative session on reforming nuts-and-bolts policy issues that both parties agree need legislative fixes: school finance and property tax reform. Last week, Gov. Greg Abbott officially declared school finance and property tax reform “emergency items,” along with school safety, disaster response, increasing teacher pay and mental health programs. And the week before that, Abbott, Bonnen, Burrows and Senate leaders unveiled a unified vision for slowing property tax bill increases. Democrats generally agree that those issues should take center stage this year, but they’re quick to emphasize that their No. 1 priority — addressing public education — has been at the top of their list for years. In both the school finance reform and property tax debates, Democrats have already laid down a few markers. With the former, party leaders want reforms to include addressing rising health care costs for teachers and expanding pre-K for Texas children. With the latter, they’ve already written off the GOP’s proposal to require voter approval for local property tax increases over 2.5 percent as “a nonstarter.”House Democrats have yet to put forward their own proposals, but they’re expected to do so in the coming weeks. Beyond that, Democrats are pushing for a slate of more partisan measures that aren’t expected to get much air time at the still GOP-dominated Legislature. Democrats want to curb “voter disenfranchisement,” an issue that’s surfaced in recent weeks after the Texas secretary of state’s office spearheaded a flawed voter citizenship check. They also want to expand Medicaid under the Affordable Care Act. “I think we need to be talking about Medicaid expansion every single day we are here,” said Zwiener, the freshman from Driftwood. Zwiener, a new mom, also mentioned Democrats are aiming to extend Medicaid’s postpartum coverage from two to 12 months. The confidence embodied by Democrats comes partially from the fact that Bonnen, the House speaker, appointed party members in January to chair several high-profile committees previously headed by Republicans. For example, Turner was tapped to chair the Higher Education Committee. Similar appointments happened on committees that oversee homeland security, public health and transportation, among others. The “freshmen excitement” — or angst, as others may call it — is commonplace at the Capitol every two years as the biennial legislative session gets underway. For state Rep. Victoria Neave, a Democrat who flipped her Dallas-area seat in 2016, the feeling is all too familiar. Some of the more senior Democrats have suggested that the freshmen class is still transitioning from campaign mode and will settle in around March or April when things heat up at the Legislature. They’re also quick to note that Turner, who just began his second term in that caucus role, deserves credit for taking on the arduous task of rebuilding his party’s ranks in the House. Since Turner took the reins, he’s brought on full-time leadership staff, who spearhead a lot of the policy and communications between caucus members, among other things. Turner also doled out roughly $240,000 of his own campaign cash during the 2018 cycle for get-out-the-vote efforts and to help House incumbents and candidates locked in tight races, according to his office. For now, most everyone is publicly optimistic about what lies ahead over the next roughly 100 days at the Capitol. And for Democrats, they’re acknowledging the more palatable tone that’s been set by state leaders.